This February 1st and 2nd, I’ll be teaching a two day workshop at the Bellevue Art Museum. The workshop, called Monsters and Movements, will be covering all the basic techniques that I use in creating my beasties, with a focus on capturing movement and emotion through body language. I’m quite excited about it. The workshop will be set up for a wide range of ceramic experience, welcoming both beginning and expert sculptors. I’ll also talk about the wood firing process, and walk participants through making their own ceramic beastie! It’s going to be on February 1st and 2nd, from 10am to 4pm each day, and is part of the ongoing collaberation between Northwest Designer Craftsmen and the Bellevue Art Museum. The cost will be $125 for BAM members, and $135 for nonmembers. Please sign up on BAM’s website by January 18th! 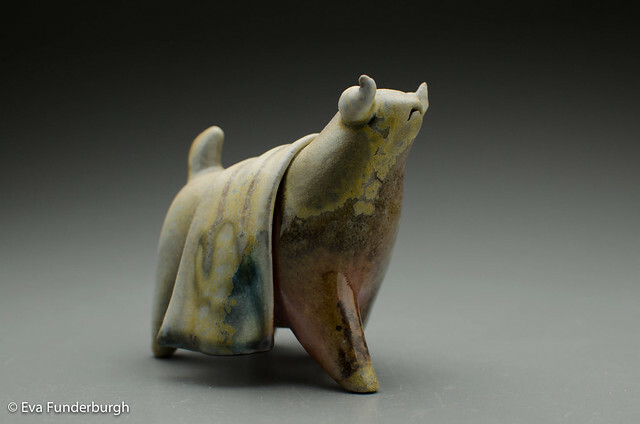 I recently finished up the my fall wood firing, and have posted all of the work up on flickr. I’m really happy with the results this time! “The Champion” in particular turned out almost heart-breakingly perfect. This weekend, the holiday season starts in full, at least for me! I have two giant events, back to back. This year, I’ll be participating in the Seward Park Holiday show for the first time. This annual show runs from December 6th to December 24, and features quite a few of the top ceramics artists from the area. Functional ware, sculpture, they have it all! 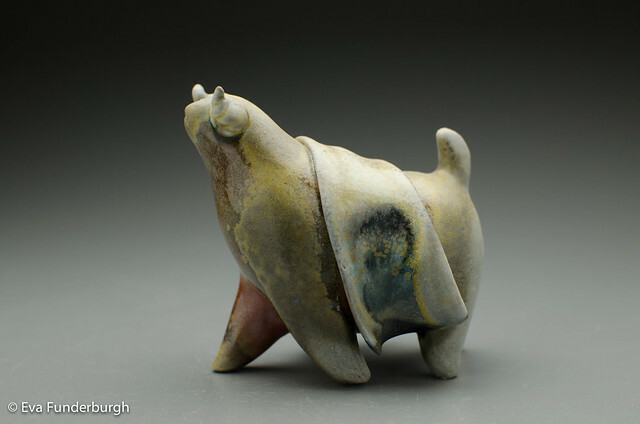 I’ll be showing pretty much all of my ceramic work that I have available. The opening is this Friday night, from 6:30 to 9:30. Seward Park is a wonderfully little nonprofit community studio, a vital part of our local scene. It’s worth checking out if you’ve never been there! The night after the Seward Park Opening, my studio Florentia Clayworks will be having its annual holiday party and sale as well! From 5 to 9pm on Saturday, we’ll have refreshments, art, and good holiday cheer. While most of my ceramic work will be at Seward Park, I’ll still have plenty on display at the studio. I’ve cast a whole set of tiny little bronze beasties, just for this. All of my bronzes and large beasts will be on display! There might even be a selection of “seconds” as well. If you can’t make it on Saturday night, we’re planning on having the studio open on Sunday during the day as well. There is one more recent exciting bit of news. I’ll be doing a workshop at the Bellevue Art Museum this February 1st and 2nd. Because of this, I’ve been selected as featured member of the Northwest Designer Craftsmen, and presently have three of my sculptures on display in the BAM lobby. This is totally an honor!